The government wants to move away from the raw material economy. 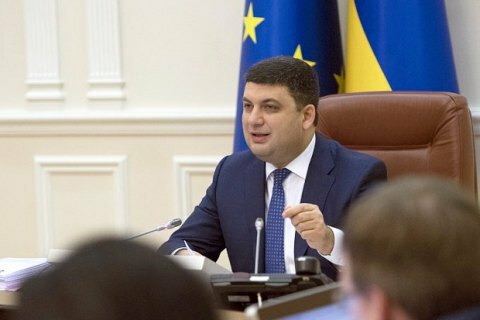 Ukraine's Prime Minister Volodymyr Groysman tasked his government to provide an annual GDP growth of at least 4-5%. "We must build a strong and competitive economy. We must ensure an annual steady growth of at least 4-5% of GDP. Importantly, we must move away from a resource-oriented type of economy," the head of government said during the presentation of the government's medium-term plan until 2020 at a Cabinet meeting on 3 April. Ukraine's economy grew 2.3% in 2016 over the previous year. The forecast for GDP growth in 2017 has been reduced from 2.8% to 1.9% due to the transport blockade of the occupied part of Donbas and the loss of businesses located there.